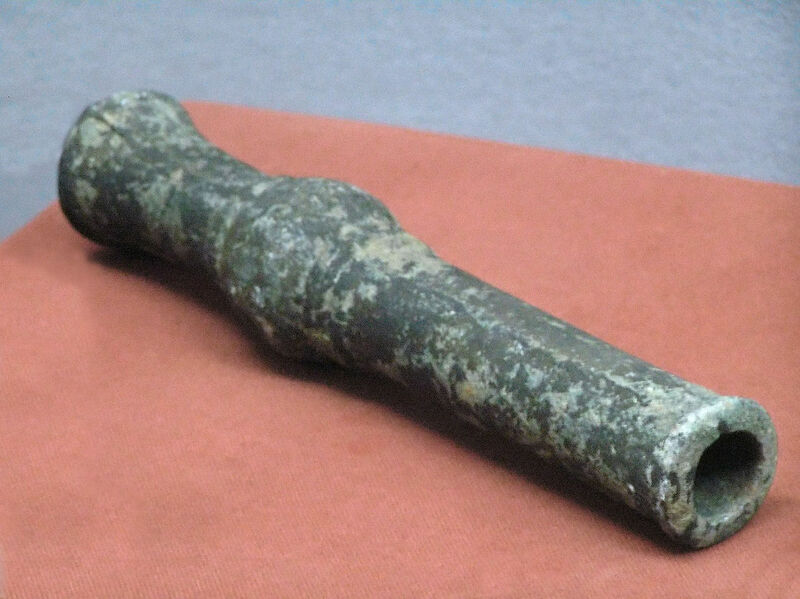 English: old Chinese Hand Cannon on display at the Shaanxi history museum in Xi'An, China. The placard reads "Bronze firearm, Yuan dynasty (1271-1368 ACE)". Photo taken by Yannick Trottier, 2007.